Germany’s government is leaning toward keeping a stake in the country’s new national banking champion if Deutsche Bank and Commerzbank make good on their plans to merge. But like many other aspects of the deal, it’ll be a decision taken with little enthusiasm. It just looks better than any other options left on the table. With the possibility of a government-backed merger formally on the table, converting the state’s 15.6 percent stake in Commerzbank into shares in the combined bank is the preferred option within Chancellor Angela Merkel’s administration. That would avoid the politically unpopular move of sticking German taxpayers with a likely loss by selling the government shares acquired during a 2009 bailout. But it’s not just the government’s stake that’s uncomfortable. Lawmakers in Merkel’s coalition are already spooked by the prospect of up to 30,000 job cuts if the country’s two biggest banks combine. Add in the losses on the government’s stake and all sides risk the public mood souring on the merger, whatever the merit of a strong bank for Germany’s globally focused economy. Cracks emerged with Merkel’s coalition under pressure from a potential public blowback. Merkel’s chief of staff said preserving jobs will be the government’s priority in any merger consideration -- and that Germany can do without a national champion. 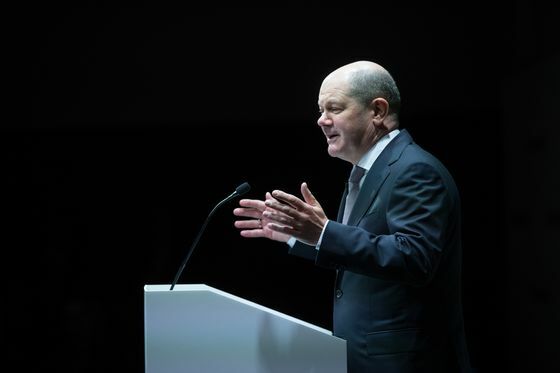 That’s after Finance Minister Olaf Scholz gave the green light for thousands of job cuts tied to a deal and declared that the country needs a global banking player. A combination of the two lenders is no “systemic issue for Germany,” Helge Braun, Merkel’s chancellery minister, told Bild newspaper in an interview. “There is no single political motivation to push this merger -- it has to be a corporate one,” he said. If there wasn’t enough at stake with Germany’s future financial muscle in play, the merger announcement comes as Merkel is preparing a campaign to have the European Union’s competition rules torn up to make it easier to build industrial champions. The chancellor is working with France’s Emmanuel Macron to see Europe produce more giant companies with the critical mass to take on the biggest firms from China and the U.S. They will make their pitch to EU leaders when they gather in Brussels for a two-day summit starting Thursday. They shift could see officials across Europe working more closely with key companies on strategy. The finance ministry said Sunday it’s in regular contact with the Deutsche Bank and Commerzbank. Scholz and his key deputy, Joerg Kukies, held at least 23 meetings with Deutsche Bank representatives last year, according to documents provided to parliament. The return of the interventionist state has ruffled feathers among pro-market conservatives in Merkel’s Christian Democratic Union, the governing coalition’s biggest party, who’ve seen Germany prosper from a hands-off approach for generations. Merkel counters that the rise of Chinese state capitalism in particular means the rules have changed. But a merger of two struggling banks may not be the best way to persuade skeptics her shift in strategy will work. “Deutsche Bank should focus on getting better, not bigger,” Lothar Binding, a senior from Merkel’s coalition partner, the Social Democratic Party, said Sunday, voicing his opposition to the merger.